Our coffee table book on Barbados is a loving portrait of “Bimshire” and her “Bajans” – the author’s fourth, and finest, book on Barbados! 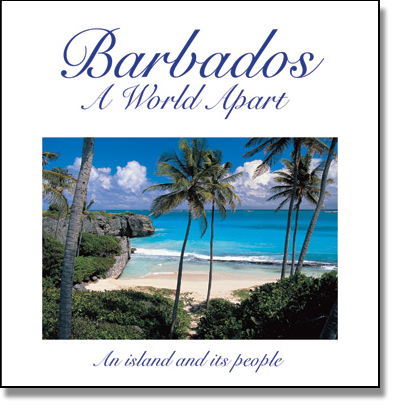 Barbados, A World Apart combines striking photographs, maps, and an extensive text in a lush, large-format, coffee-table book portraying the scenery, culture, people, nature, and history of Barbados. There is a particular emphasis on “Bajan” culture and the island’s historic and traditional architecture — the famous “chattel houses” as well as the plantation great houses built in the bygone era of “King Sugar.” Barbados, A World Apart has been acclaimed as the finest photographic-essay book ever produced about the island.